Three-time National Book Award winner Karl Castro first designed a book when he was a freshman at University of the Philippines Diliman. 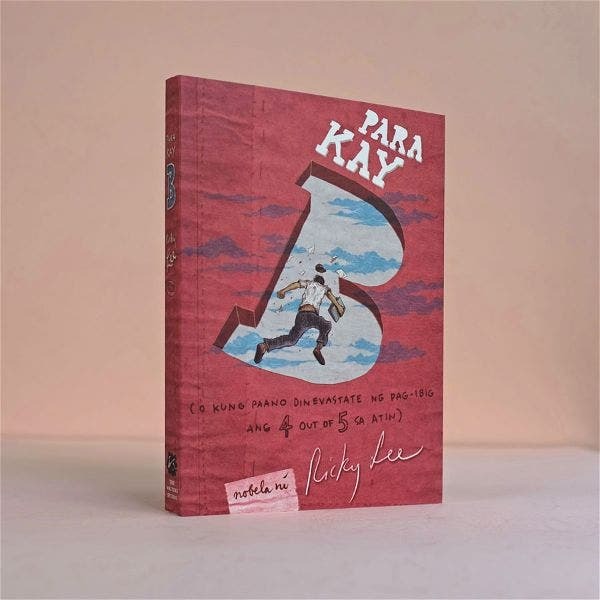 The book was a marvelous collection of poetry by Marie La Viña, Karl’s schoolmate at the Philippine High School for the Arts in Los Baños, where he had been given an Artistic Excellence gold medal for Visual Arts upon graduating the previous year. 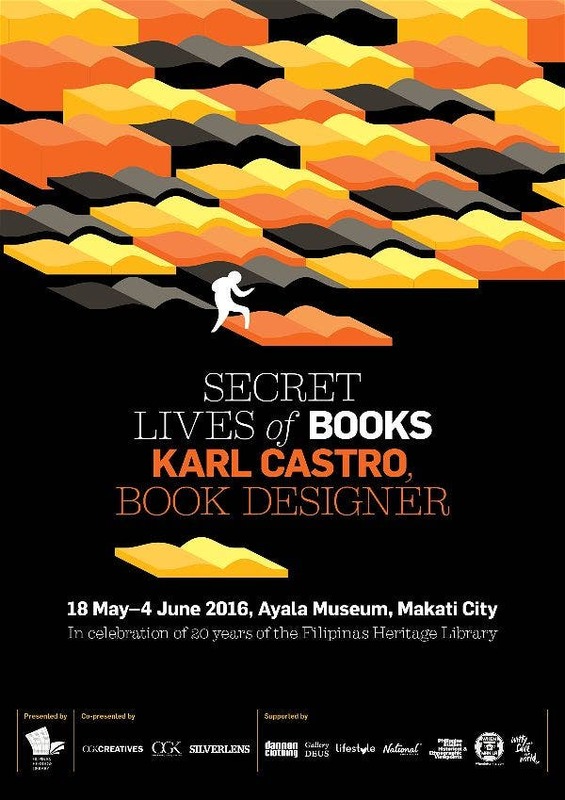 Twelve years and many books later, Filipinas Heritage Library (FHL) is presenting Secret Lives of Books, Karl’s first solo exhibition of book designs, this May at Ayala Museum. For what better way to kickstart FHL’s Printed Word education program for 2016, when the library also turns 20, than turning to books and finding out how they begin and remain—if they do stand the test of time? Since its inauguration in 1996, FHL has ventured into the digitization of its collection, as well as the development of online databases and exhibits. Like a large part of the world, it has been treading the digital path. “Books exercise a huge influence on my art,” says Karl, who has designed books by stellar authors such as Ricky Lee, Rolando Tolentino, and Floy Quintos. “I never aspired to be a book designer, but looking back, it was a natural progression. I love reading, I love art and design; it’s not surprising that I found myself in a job that requires me to wrangle with words, images, and meaning.” As a Film major in UP, he had also served as Layout Artist, Managing Editor, and Editor-in-Chief of the Philippine Collegian. Open for free to the public, Secret Lives of Books will display actual books that can be perused; short videos; and installation art. 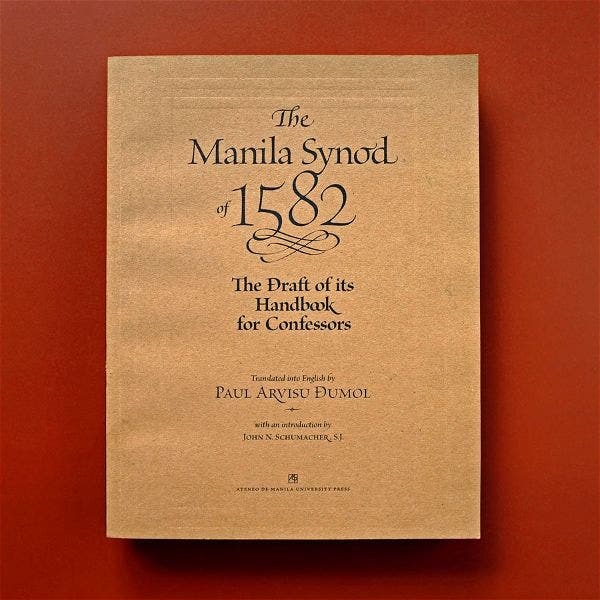 It will be supplemented by book design workshops on May 23 and 30; panel discussions with writers and book scholars on May 28 and June 4; and an artist’s talk on May 25. 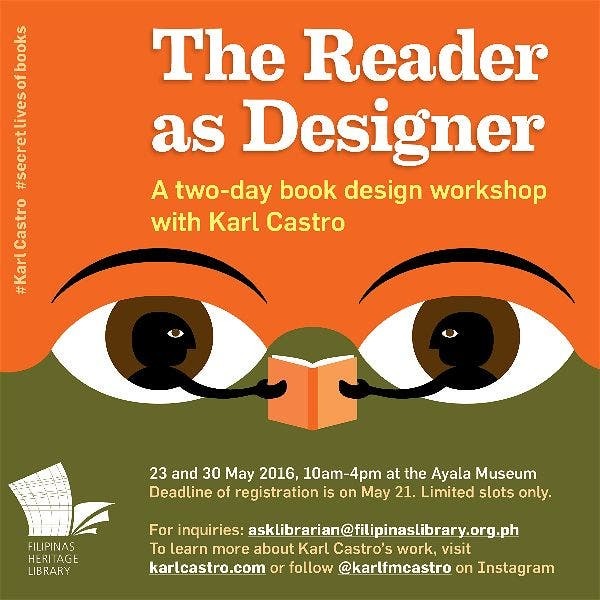 Secret Lives of Books: Karl Castro, Book Designer will run from May 18 to June 4. For inquiries and to register for the activities, email asklibrarian@­filipinaslibrary.org.ph or call 759-8288 local 45 or 36.